The corporate tech chess game took an interesting and for most of us an unexpected turn yesterday as Microsoft bought LinkedIn in the biggest move yet. If you haven’t reviewed Microsoft’s conference call (or at least the slides), there are many answers to be found. As sourcers, my partners and my first reactions were excitement. What will Microsoft bring to enhance how we find potential candidates? How will they integrate their technology into the platform? What else will they develop? How will the other big tech companies react? Initially, we think you’ll see no significant differences as the deal undergoes regulatory approval, and LinkedIn finds its place within Microsoft. However, we predict there will be some exciting new integrations available by early 2017. Outlook is the most commonly used business email platform, giving LinkedIn an enormous opportunity to increase its user base. You’ll soon see the “Social Connector” features added back to Outlook, and possibly other platforms as well (one-click lookup from Skype, anyone?). Speaking of Skype, LinkedIn already supports linking your WeChat account, and it would just make sense to add Skype to the list as well. Given LinkedIn’s pivot from email-style Messages to a chat-like interface, could Skype replace InMails and Messages entirely? We’re not sure, but we certainly hope so. We may even see the end of “Premium” for regular LinkedIn accounts, with a purchase of Microsoft Office being all your need to gain full access to LinkedIn’s features. Eliminating the lowest subscriber tier would make sense from Microsoft’s perspective: the revenues are not significant, it would increase engagement with the platform, and of course, sell more Office seats as well. Microsoft’s Dynamics CRM suite supports many powerful features for sales and marketing teams (enterprise and SMBs alike). It seems as though integration with Microsoft’s HCM offerings may be slow; Microsoft’s Satya Nadella indicated that the Dynamics team does not have the final say there. However, integrations between Dynamics and LinkedIn Recruiter could be a huge boost for companies (unwilling to lock their data into LinkedIn’s platforms) can finally use a single solution to manage their candidate engagement efforts. Of course, there are many other opportunities for complementary integrations between the companies’ offerings: Slideshare could become the public face of Microsoft OneDrive. With the ability to easily upload, share, and quickly publish your slide decks, documents, and spreadsheets, they might compete with Google Docs. LinkedIn’s Lynda and Microsoft’s Yammer could provide a much-improved learning management and team collaboration platform. With all of this additional data about users’ activities beyond the LinkedIn platform, LinkedIn could also provide improved search results based on behaviour. LinkedIn already “weights” search results based on our connections, shares, likes, and Messages. Now they could improve their search results with many new signals they haven’t had access to before. Interesting that they filed a patent only a few months ago based on this very idea (hat tip to Andy Headworth). Finally, an anti-prediction. 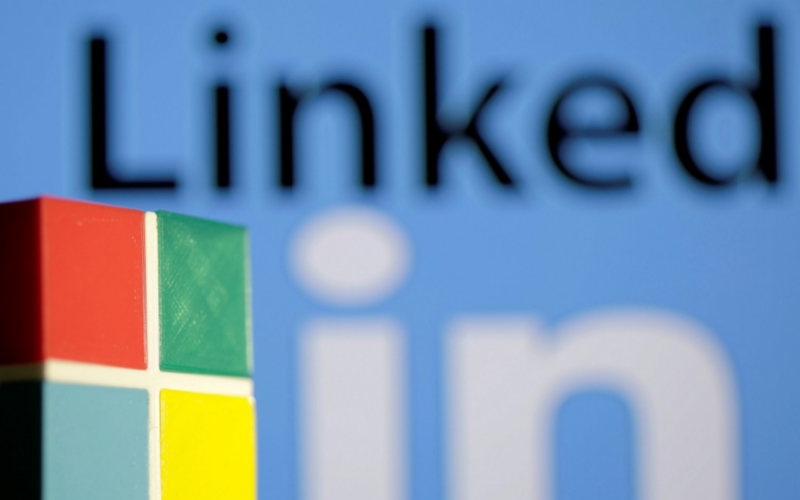 We do not think Microsoft will “block” Google from LinkedIn in favour of Bing. While Bing may be able to provide richer “knowledge graph” highlights at some point in time (we certainly hope so), Google remains the dominant player in search and search advertising. LinkedIn will continue to be X-Rayable for the foreseeable future, just like all of Microsoft’s other public web assets. I for one am hoping that don’t try to leverage Dynamics CRM exclusively and instead focus on selling LinkedIn API access exclusively on Azure. This would allow them to sell to several CRMs and BI tools at the same time. They would gain an advantage over AWS with this exclusive. Happy to see any changes take please even if we have to wait until the books close in 2017. Great post Martin, looking forward to see all the changes too. Speaking of predictions: what about the Office 365 connection?